Most people in the U.S. think of Thanksgiving as the official launch of the busy holiday season. During this week we are jolted into the reality that the year is ending and we have so much to do. We suddenly realize that we have travel, shopping, and holiday events that need to be added to already full calendars. And every year we lament the fact that we are losing the real message behind these holidays. In fact, often the last thing we are feeling during the week of Thanksgiving is the feeling of gratitude and the act of thanksgiving. Ok, maybe except for a brief moment before the Thanksgiving feast. Perhaps it’s time to consider a different approach this year. Not just to give our thanks on Thursday, but to enter this holiday season with a new and different approach: a mindset of gratitude. It doesn’t mean adding another item on your already full to-do list, it’s simply changing your focus. This means having at the forefront of your awareness what is good, what is right in our lives. We can certainly be grateful for people, events, and things, but gratitude doesn’t just have to be the result of a positive life circumstance. It can sometimes mean feeling grateful for a difficult experience that taught us something. Become a Carrier of Gratitude. 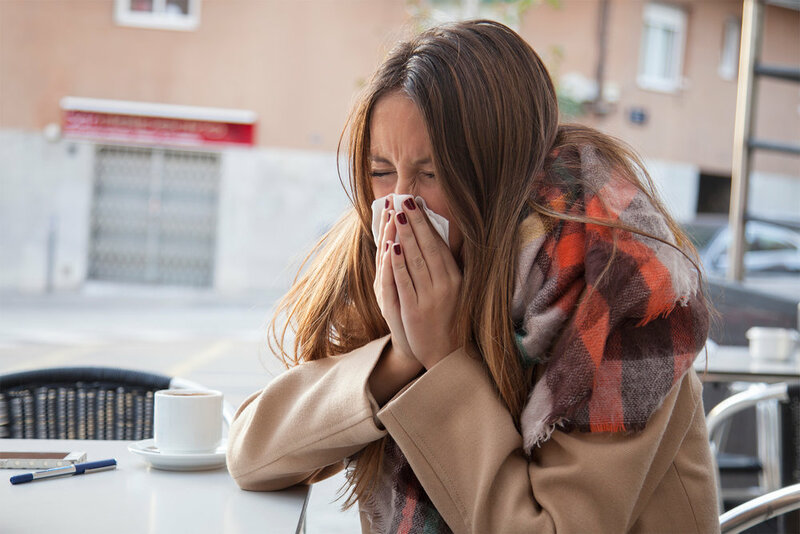 Of course, the holidays also seem to kick off another season – cold and flu season. Instead of spreading the awful cold or flu bug, consider being a carrier of gratitude. It seems that gratitude, just like a cold, is contagious. For example, researchers Monica Bartlett and David DeSteno devised an experiment where they prompted gratitude in participants by having someone help them with a computer problem (which the researchers caused). Shortly afterward, the participants encountered someone who needed help. Study participants who received help were willing to spend more time helping others than those who did not receive help (Bartlett & DeSteno, 2006). Sociologist Georg Simmel explains the phenomenon of the contagious effect of gratitude by describing gratitude as the “moral memory of mankind”, because gratitude encourages us to acknowledge gifts and motivates us to repay them or pay them forward. With gratitude, people recognize the goodness in their lives. In the process, people usually realize that the source of that goodness lies, to some extent, outside of themselves. As a result, gratitude helps people identify with something beyond themselves as individuals — whether to other people, nature, or a higher power. Gratitude is also good for your health. Research also shows that gratitude is associated with striking health benefits. Numerous studies by Dr. R. A. Emmons, one of the foremost experts in the study of gratitude, found that people who are grateful report fewer illnesses, are less concerned with aches and pains, sleep better, and have stronger immune systems (Emmons & McCullough, 2003). Other research shows that gratitude is strongly and consistently associated with greater happiness, helps people deal with adversity, and builds strong relationships (Fredrickson, 2009). Regardless of the current level of someone’s gratitude, it’s something that we can successfully cultivate further and grows stronger with use and practice. With all these benefits, it might be worth finding ways to shift your focus this busy holiday season. However, keep in mind that this shift in your mindset requires practice. Just like one trip to the gym won’t make you fit, a shift to an attitude and mindset of gratitude will require practice. To help you get started, below are a couple of practices on our app, in the Positive Practices track. When you have a few minutes, check these out. They might be a good way to jumpstart your daily gratitude practice. Bartlett, Monica; DeSteno, David.(2006). “Gratitude and Prosocial Behavior”. Psychological Science, 17(4), 319-325. Emmons, Robert A.; McCullough, Michael E. (2003). “Counting Blessings versus burdens: an experimental investigation of gratitude and subjective well-being in daily life”. Journal of Personality and Social Psychology, 84(2), 377-389. Newer PostHoliday Stress is Approaching: Are You a High Achiever or Perfectionist?